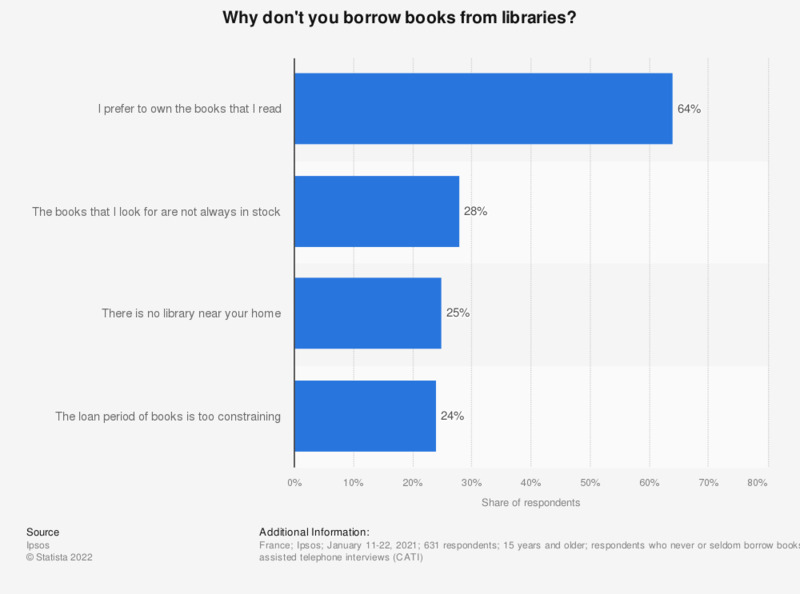 This statistic illustrates the reasons why people in France do not borrow books often or at all from public libraries, as of 2015. The main reason stated by over 70 percent of respondent is that they preferred to own the books that they read. Where do you usually get books to read?